To George Eliot, author, translater, journalist. From anonymous sender. 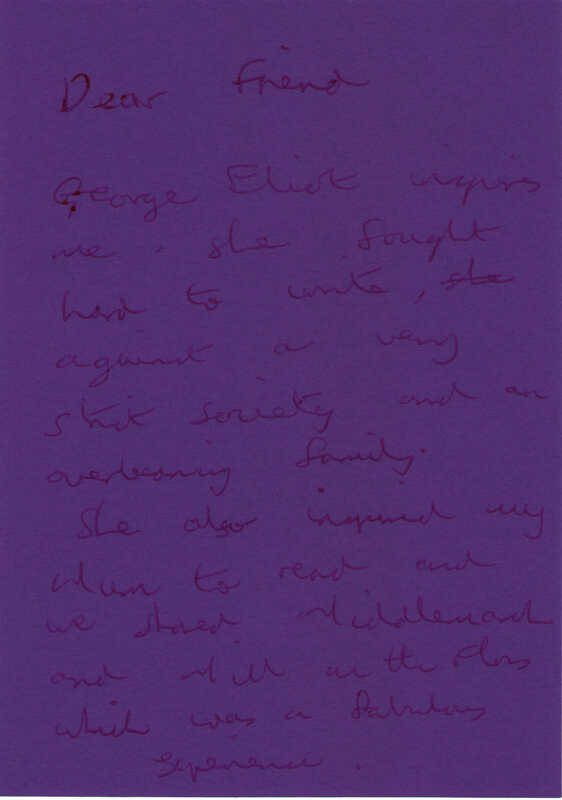 George Eliot inspires me, she fought hard to write, against a very strict society and an overbearing family. She also inspired my Mum to read and we shared Middlemarch and Mill on the Floss which was a fabulous experience. author, translater, journalist. Born 1819, died 1880. More information about George Eliot.